“Christine Tobin is as revelatory an interpreter of Yeats as Richard Ellmann or, indeed, Louis MacNeice. She has an uncanny ability to become a vehicle for the text of a poem in a way that would have sent a shiver of recognition through the great man himself. I’ve come to realize that it was only when I heard Christine Tobin sing these poems that I even began to understand them.” Paul Muldoon (Pulitzer prize & Queen’s gold award winning poet). Christine Tobin is based in NYC having relocated from London, UK in 2015. The Irish born vocalist and composer is renowned for her unique rich voice and original compositional style. With eleven highly acclaimed CDs under her own name and four major awards under her belt, Christine is treasured in the UK and beyond as one of the leading lights on the contemporary scene. She has led various projects and in 2012 ‘Sailing to Byzantium’, her settings of WB Yeats poems, won a British Composer Award. The following year she won a ‘Herald Angel Award’ at the Edinburgh Festival for her show ‘A Thousand Kisses Deep’, her imaginative versions of Cohen classics. In 2014 she won ‘Jazz Vocalist of the Year’ at the Parliamentary Jazz Awards. Earlier in her career Christine won ‘Best Vocalist’ at the 2008 BBC Jazz Awards. Her versatility and musical integrity has also ensured that she is a much in demand guest with other bands. She has performed and recorded with a list of diverse creative artists, including musicians Kenny Wheeler, Billy Hart, Mark Turner, Julian Joseph, Eve Libertine, James Genus, Gary Versace, Leo Genovese, Mike Gibbs, Nigel Kennedy, Django Bates, Billy Childs, Carleen Anderson, Cassandra Wilson, Cleveland Watkiss, Tim Garland, visual artist Gee Vaucher, actor Gabriel Byrne, film director Mike Figgis and Pulitzer Prize winning poet Paul Muldoon. 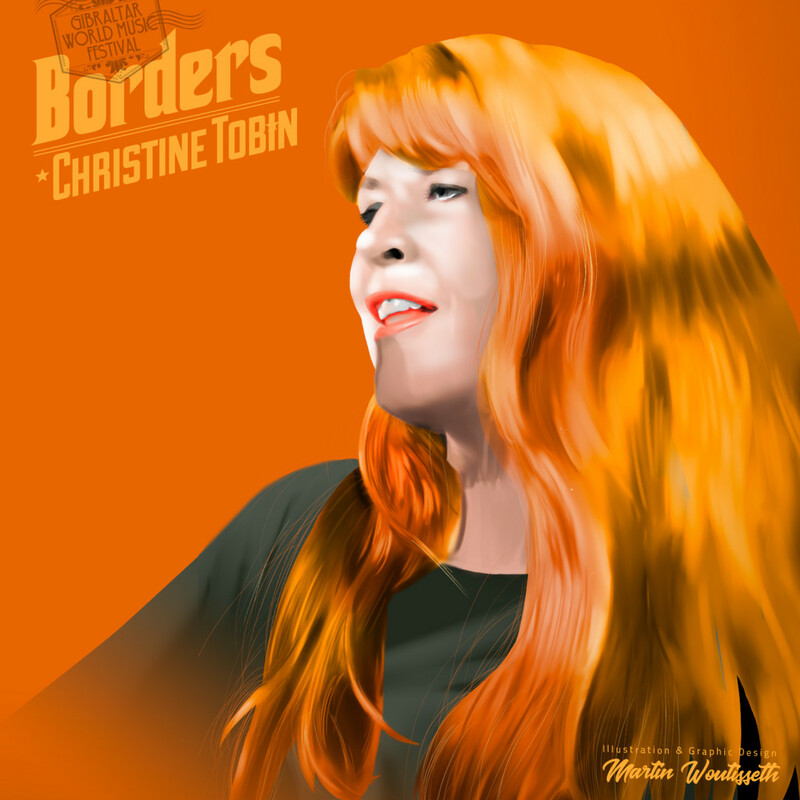 Christine’s 2016 North American performances include Xerox Rochester International Jazz Festival, Edmonton and Vancouver International Jazz Festivals and in NYC she played at Symphony Space, The Irish Arts Center, National Sawdust, Kitano, Club Bonafide and Bar Next Door. Highlights of 2017 in NYC thus far include a showcase at the APAP conference, gigs at the Jazz Standard, a ‘Sailing To Byzantium’ concert for New York University at Glucksman Ireland House, 55 Bar and she created a new mixed media jazz series for the Irish Arts Center called ‘Tobin’s Run on 51’, which she curates and performs in. This is an ongoing collaboration with the IAC and gives Christine the opportunity to work in a theatre setting and explore new formats for presenting jazz as well as forging new artistic relationships. Highlights among her 2016 UK performances include King’s Place, The Pizza Express Jazz Club Soho, the Vortex, Swaledale and The South Coast Jazz Festivals and in Ireland the Body and Soul Festival. Previously she has played at Ronnie Scotts, The Sage Gateshead, Hull, Cheltenham, Brecon & London Jazz Festivals and many renowned jazz festivals worldwide. Some of these are Kongsberg, Shanghai, Monterey, Varna, Kalisz, Berlin, Rainforest Music Festival Borneo, Sons di Hiver Paris, Molde, Baku, Syria, Haarlem, Frankfurt and Cork International Jazz Festival. Club appearances on the international scene include A-Trane Berlin, a week’s residency at the Half Note, Athens and residencies at the Jamboree, Barcelona. 2017 festival performances include the WDR Jazzfest in Germany and Sligo International Jazz Festival at The Yeats International Summer School, Ireland & the ‘Return Flight of the Earls’ festival in November. contributed to programmes about Billie Holiday, Bessie Smith, Abbey Lincoln, Betty Carter, Joni Mitchell and Carmen McRae. The special documentary programme she presented for RTE Lyric FM ‘Out with Paganism’, was a Silver Radio Winner at the New York Festivals – 2013 World’s Best Radio Programs.